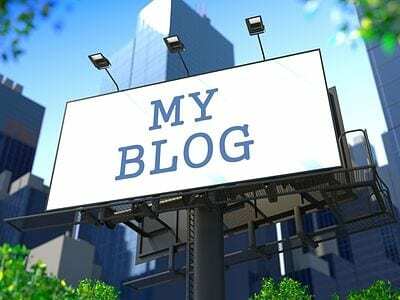 Blogging in the classroom can be tremendous fun and also very educational, which means it makes everyone involved in the education of children (including the children themselves) happy and engaged in what is going on. The best way to make the process happen though is not necessarily a heavily structured way. Blogging is about expression, and allowing children to blog is about allowing them to express themselves. This means giving them the vehicles, or ideas, that will get them started blogging without making them feel like they are working too hard. This will lead to positive experiences, and a growth in skills. A couple of project ideas to get you started blogging in the classroom. The projects and the content of what you do should be fun and engaging. Blogging in the classroom is not something that children necessarily take to quickly, so the easier the way in, the better. With this aim in mind, one project that always proves very engaging to students is that which encourages them to blog about their favorite holiday experiences. Children always like writing about this particular topic, and being able to do it as part of a class blog is fun for them. Of course, you could also use the blogging space for a community push, by asking the students to blog about current events in the school, or items of information and news that they want their parent to know. This one in particular is very good for engaging students, as it allows them to take pride in what they are doing, and to feel like they are creating ‘news’ content. And where do they do it? The easiest and most cost effective way (i.e. free) to get your students and children started with blogging is on platforms like Blogger. Blogger is an absolute gem of a site, in that it allows you to set up a blog in minutes, and then contribute to it, even when you are mobile. And it is completely free. There is a lively community around Blogger, and this means that you can quite easily find yourself talking to other like-minded people too. If you’re an educator and you’ve set up a blog on Blogger for your class, then it won’t be too long before you find yourself getting in touch with other educators around the globe. WordPress allows you to use a free blog, and it is incredibly easy to set up, just like Blogger. The key benefit with WordPress though is that it has a huge community behind it. It also has a multitude of themes that can be used to decorate the blogs you set up, which allows for a little bit of functionality that you may not get from Blogger. Get the parents involved, asking them if they would not mind their child taking part in the project. Don’t forget that their child will have their thoughts out there in cyberspace; some parents need to be aware and give permission. Treat blogging in the classroom as a fun project, and you’ll find that you soon have a classroom experience that the students will be fully engaged in. What are E Learning Blogs?